What Equipment is included with Campervan Hire in Australia? All campervan hire brands in Australia include basic cooking equipment and kitchen utensils. Budget Campervan Rental brands generally only supply single-burner gas cookers (portable) and a limited amount of utensils (knives, forks, cups, bowls, plates, saucepan, fry pan, etc). Some companies like Jucy Rentals, Spaceships, Awesome Campers and Travellers Autobarn include a fridge (30-65L), while the cheapest campervan hire vehicles will only include an Ice Cooler (Esky). HiTop Campervan Hire and Motorhomes all generally provide a great range of kitchen equipment with the vehicle. 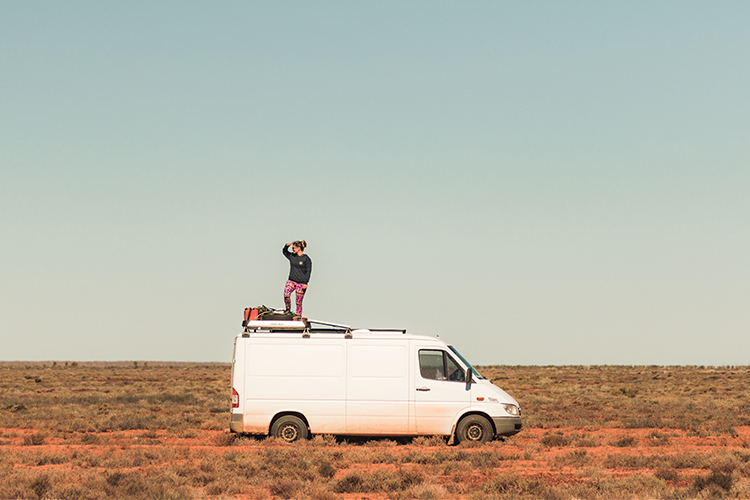 This can include a fridge/freezer, 2/3-burner gas stove, microwave, toaster, kettle and all the utensils/crockery you will need while on your Australian campervan hire roadtrip. All campervan hire companies in Australia include an unlimited km allowance (except Wicked Campers). This means that you won’t be charged any excess km charges when you return your campervan rental vehicle. Almost all campervan hire companies in Australia provide linen, pillows, duvet or sleeping bag free of charge (except Wicked Campers, Lucky Rentals). This can often save you up to $100 on your roadtrip as bedding can be particularly expensive at the shops. When you’re on the road, life becomes pretty simple – and it’s the simple things that can make or break you. If your campervan rental vehicle doesn’t include great internal or external lighting options, it can genuinely restrict the quality of your evenings! Without light, you can’t read, can’t play cards and certainly can’t see that giant spider crawling up your girlfriends leg! Before renting a campervan, check the power supply options. Having a dual battery setup can be really helpful in your campervan as it often powers the fridge, allows for additional internal lighting and extra charge points in the cabin to charge your electrical equipment. Power Supply is another factor that can truly make or break your campervan hire experience! Some rental companies will include basic items like an awning, camp table & chairs and camp shower – but certainly not all. In fact most budget campervan hire companies charge a small fee of between $15 – $85 for additional camping equipment for your roadtrip. Often these items can be found much cheaper though at hardware shops like Bunnings or camping stores like BCF.